Part of Clarke Quay’s recent expansion plan, Boss BarBQ makes its debut in Singapore with an extensive menu of 40 dishes and 20 signature cocktails. One of Korea’s largest barbeque and grill chains, it ticks all the boxes of Korean culture, from sizzling grilled meats (done in the kitchen, not at the table, as most Korean BBQ joints allow) served on imported stone dishware to live K-pop performances, Korean drama programmes on TV and Gangnam-style décor, all fitting right into the party pub vibe of the area. 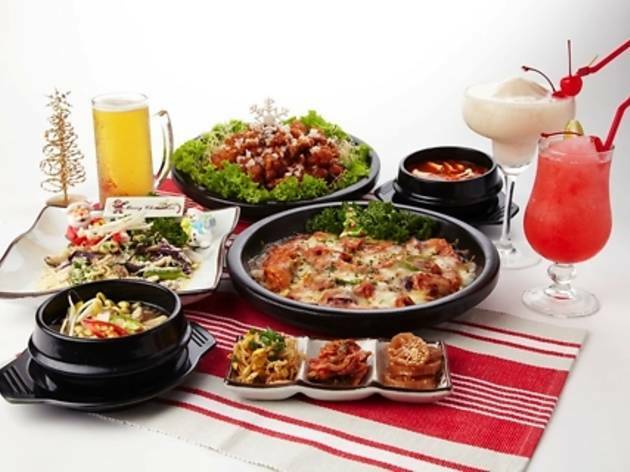 Dish highlights include charcoal barbecued chicken ($22 or $38), barbecued pork ribs ($22-$38) and smoked duck ($38 onwards); all meats are paired with a variety of sauces and side dishes. 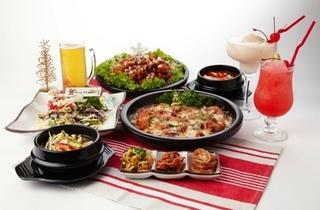 A special lunch set promo is available for $30/two sets – choose between a bibimbap, bulgogi or their signature chicken.